This was the first time Yehsakul and this group of volunteers organized a go event like this. 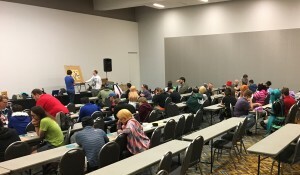 They hope to run another go workshop at Ohayocon in January, 2019. “Events like this are really important to spread and develop the go community in North America,” Yehsakul added.